Winning house Degei house cheer as they won the Ratu Kadavulevu High School interhouse yesterday. Photo: PAULINI RATULAILAI. Degei House won the 2016 Ratu Kadavulevu School inter-house athletics competition yesterday. Degei collected 13 gold, 15 silver and eight bronze medals. Sukuna finished second with 13 gold, 12 silver and 20 bronze, Maafu in third place with 13 gold, 10 silver and 12 bronze medals while Cakau finished fourth place with 12 gold,14 silver and 11 bronze medals. RKS will be taking a holistic approach towards their preparation for the 2016 Tailevu Zone and the Coca-Cola Games. Athletics manager Orisi Cakau confirmed one of the changes they would be making this year was getting all the athletes together in the same dormitory. “We will be hosting the Tailevu Zone and one of our main aims is to produce good results,”he said. “In doing that one of the changes we are making this year is to get all our school athletes who participated last year and those who have joined in this year in the same dormitory. Cakau said they were adamant of their performance this year. 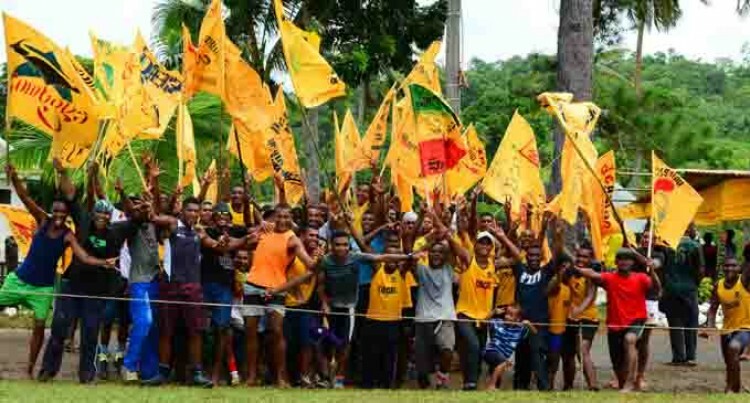 “We are relying on our athletes, they have been working hard and we are hoping for the best in this year’s Tailevu Zone since we will be hosting the zone this year.